I’m back with a wig review from l-email wig (Wig-supplier). 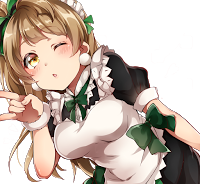 It is my favorite Kotori Minami wig. I’m a big fan of this Kotori Minami character wig. I think it is my favorite wig for this character! The wig has perfect hair color for Kotori and she is very thick. It grants you a natural effect. It was very easy to style the wig, because she is very soft. So she is comfortable to wear. 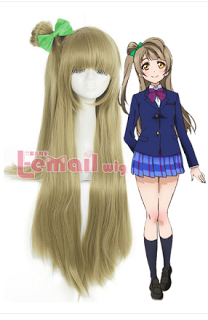 The price for the Kotori Minami wig is $15,29. I think this is a more than fair price for this high quality product! The parcel arrived after four weeks without problems and without duty costs. This was my first experience with l-email wig (Wig-supplier) and I was chuffed by their nice serivce. They wrote me within one day via e-mail and the communication was always friendly. I’m very happy about our cooperation! 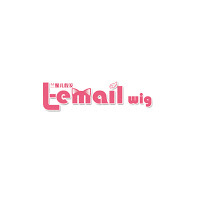 This entry was posted in Buy Cosplay Wigs, Fashion Wigs, Human Hair Wigs, L-email Wig review, Wig Maintenance and Care, Wigs and tagged beautiful cosplayers, fashion wig, Kotori Minami wig, L-email wig review, L-email wigs, Long wig with bowknot.